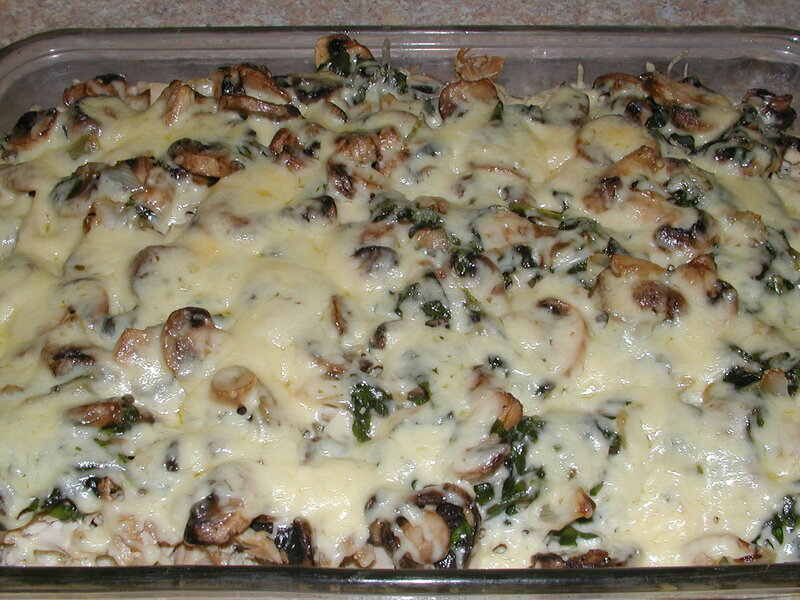 In a greased 9×13 dish, layer fauxtatoes, turkey, unstuffed mushrooms (follow the stuffed mushroom recipe but add 2 cartons of sliced mushrooms instead of using whole mushrooms and omit the cheese), and top with cheese. Bake at 350 degrees for about 15-20 minutes. Enjoy!